Wiedeking, pictured, and former CFO Holger Haerter, were charged in 2012 with market manipulation. 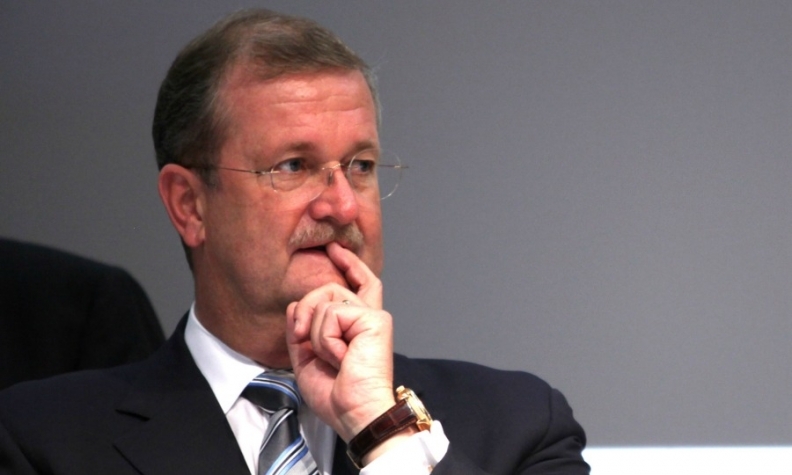 BERLIN (Bloomberg) -- Former Porsche CEO Wendelin Wiedeking and ex-Chief Financial Officer Holger Haerter won't have to stand trial on market manipulation charges over the use of options in a failed bid to acquire Volkswagen Group. A German court in Stuttgart ruled that the charges, filed in December 2012, won't go to trial, lawyers for both men said in a joint statement today. Prosecutors can appeal the ruling. "The ruling is hardly a surprise," the lawyers said. "It confirms the view of Mr Wiedeking and Mr Haerter that the allegations are thoroughly unfounded." Porsche has faced a series of investigations and lawsuits since disclosing in October 2008 that it controlled 74.1 percent of Volkswagen Group, partly through options, and was seeking to acquire 75 percent as part of a takeover strategy. The announcement caused Volkswagen's stock to jump as short sellers raced to buy shares to repay borrowed stock in bets that VW would fall. The criminal indictment was filed in December 2012 after more than three years of investigations into claims Porsche misled investors during the attempted takeover. Stefan Biehl, a spokesman for Stuttgart prosecutors, said his office will analyze the ruling before commenting. Today's news may hinder hedge funds that are seeking a total of more than 5 billion euros ($6.9 billion) in multiple lawsuits against Porsche. A criminal trial against Wiedeking and Haerter could have unearthed more evidence that could have been used in the civil cases.